Now I seek your hot shade instead of the forest. You twist the world around your finger, you say? But in my arms, I weigh the spread of the forest. The dread of the mountain, dread of the forest. You shake off remembrance. It falls like dust. Lover, if you dare, try and shed off — the forest! Nothing (though I waited) was said of the forest. It howls a warning: we are bred of the forest. The glitter of cities burns like lead in your mouth. Where, Anu, will you rest? The bed of the forest. in entrails. I eat my tuna salad. is common on gentle shores. in its silent, unstoppable way. Both of these appeared in Anindita Sengupta's first collection of poems, City of Water, which was published by the Sahitya Akademi in February, 2010. "Arambol" has also appeared in Cha: An Asian Journal. 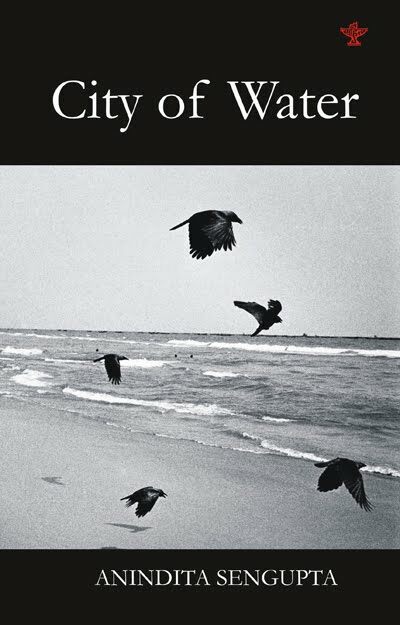 You can find City of Water at Sahitya Akademi bookstores--they are promising an on-line store soon, but it's not up yet. You may have to work a little harder to find Sahitya Akademi books, but the price is right, and they bring out some really first rate poetry--something few publishers are willing to do these days. If you live in Delhi, you'd best hurry, because I plan to buy a few copies of this--why not give good poetry instead of sweets next Diwali? Sengupta's work has previously been published in several journals including Eclectica, NthPosition, Yellow Medicine Review, Origami Condom, Pratilipi, Cha: An Asian Journal, Kritya, and Muse India. It has also appeared in the anthologies Mosaic (Unisun, 2008), Not A Muse (Haven Books, 2009), and Poetry with Prakriti (Prakriti Foundation, 2010). In 2008, she received the Toto Funds the Arts Award for Creative Writing, annually given to two writers under thirty in India. In 2010, she was the Charles Wallace Fellow at the University of Kent, England. Sengupta is a freelance writer and journalist and contributes articles to The Guardian (UK), The Hindu, Outlook Traveler and Bangalore Mirror. 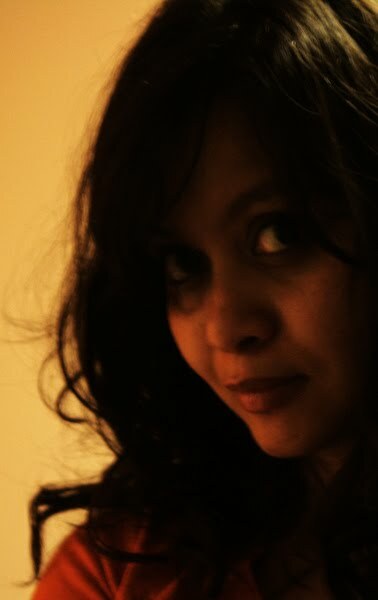 She is also founder-editor of Ultra Violet, a site for contemporary feminism in India and her personal website is at http://aninditasengupta.com . Find more green poetry on voices page, here! These are very nice, both of them. @anon--Thanks for stopping by. I also like these very much. @janice--glad you liked this. Hope to see you again.